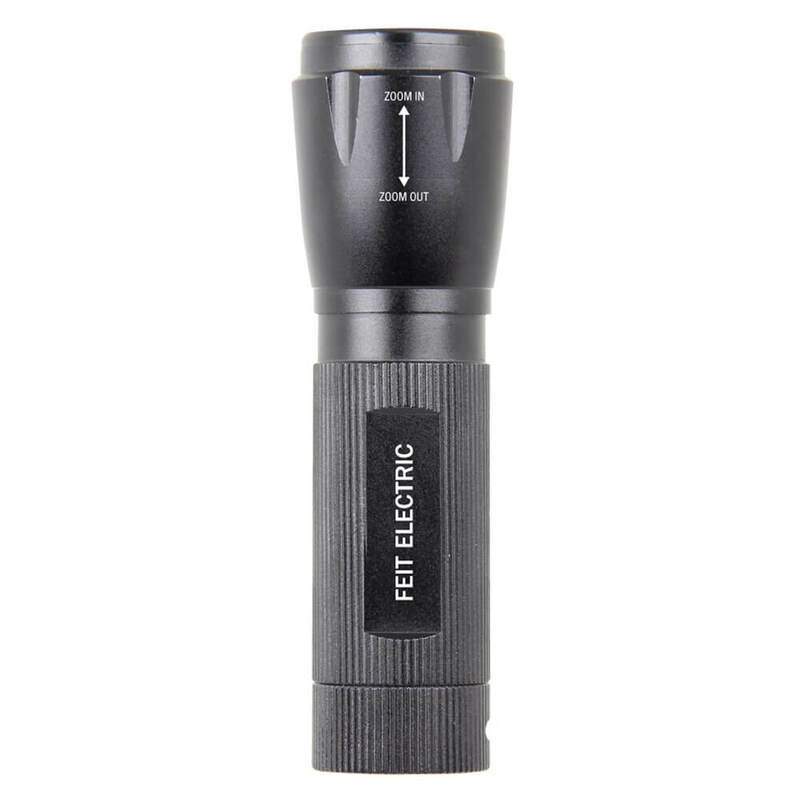 When the need for a flashlight occurs, reach for an ultra-bright, high performance Feit Electric 1000 Lumen LED flashlight. 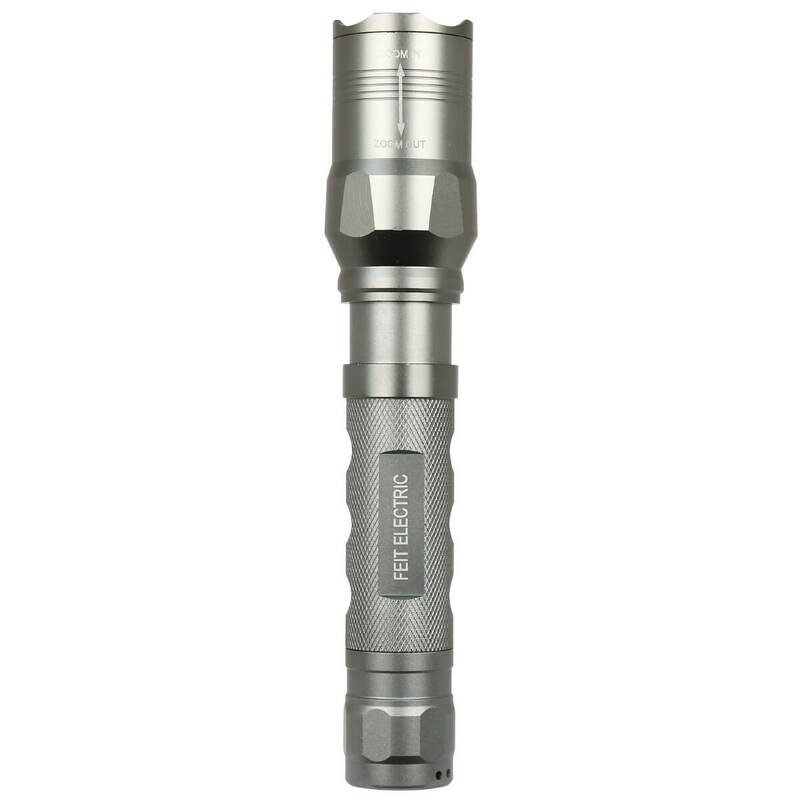 This powerful flashlight is constructed from durable aircraft grade aluminum alloy treated with a special coating to help prevent rust and corrosion. It has a non-slip cross grooved grip, a durable wrist strap and is impact resistant up to 1 meter. 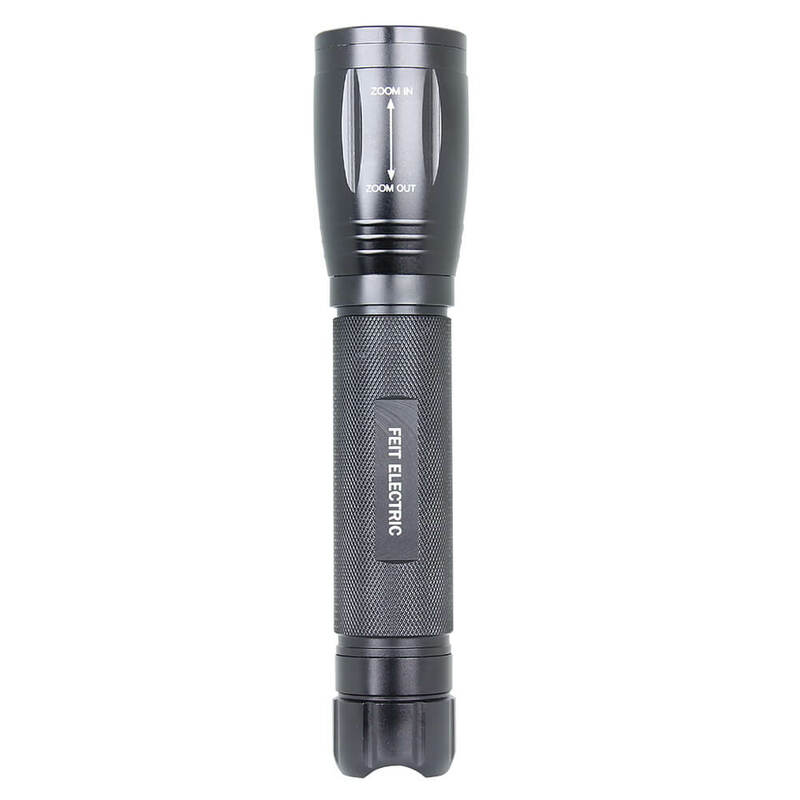 Choose from 3 different lumen settings, 1000, 500 or 250 and 4 light settings: high beam, low beam, emergency S.O.S. and strobe light. The sliding head allows for fast light beam focus; slide head forward or backward to focus the powerful LED beam to its desired range. It’s lightweight, easy to carry / store, uses three D alkaline batteries (not included). 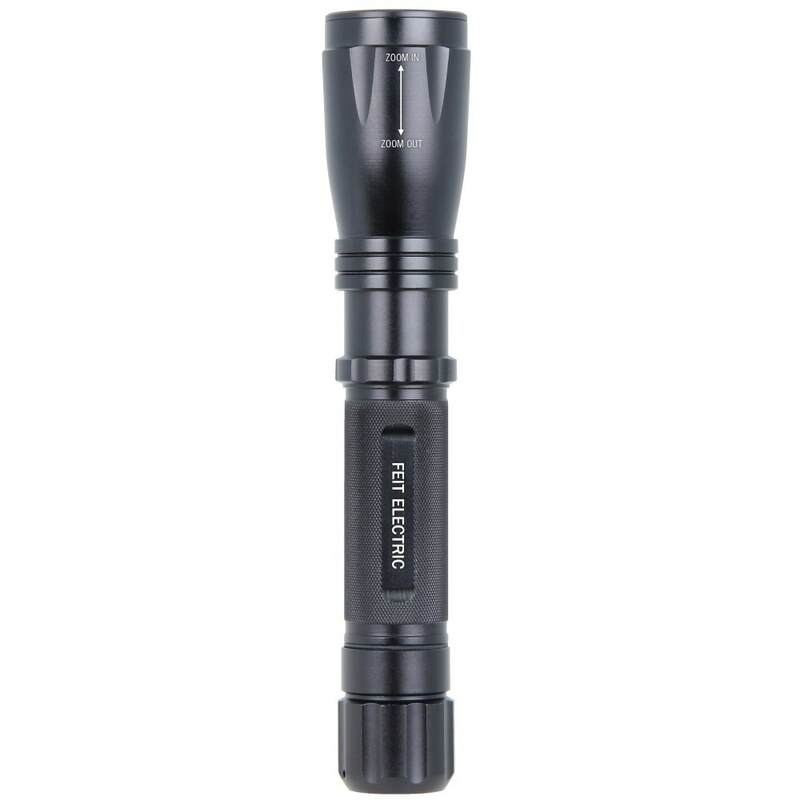 Choose a dependable weather resistant flashlight for any emergency or non-emergency applications.